The best job search plan is one that is organized - and then followed. Too often, job candidates hear about or read about a job opening then immediately send out a resume without giving a lot of thought to the process. Yes, it seems like a lot, but if you are in the midst of a job search, you won't just be sending out one resume to one company. If you are like most people, you will be sending out quite a few resumes to quite a few companies. All of the various aspects of finding a great job need to be taken into account. How else will you know if the company is a good fit for you if you don't research them? Or, how will you keep track of the resumes you send out, follow up on, get responses to and/or result in interviews? All of the above aspects need to be considered and/or evaluated in terms of how well they match our career goals. 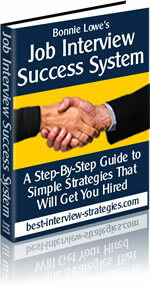 In fact, every aspect of finding a great job should be done with your ultimate job goal in mind. A job search plan can be tailored to meet your needs. Just know that any information you do not track or any activities you do not perform may keep you from achieve optimal results in your search for a great job. You may be wondering why it is important to keep track of where you send your resumes or even why evaluating each job opportunity makes sense when you are so busy. In truth, it is because you are so busy that tracking such things holds so much value. If you have a record of each employer you contact or send a resume to, when you are called for an interview, you have pertinent information available to use in making a great impression, even if it's just over the phone. Employers often use the telephone as a screening tool. If you handle yourself well on the phone and even impress the employer with your knowledge of the job/company, you are already in a better position than most other job candidates. That is a pretty good reason to utilize a solid, well-organized job search plan, don't you think? Knowing appropriate information about specific jobs and specific companies gives you another edge over other job candidates - even early on in the job search process. Knowledge allows you to make informed decisions about where you want to work, what you want to do - and what it takes for you to achieve your job goals. Getting that knowledge involves research and documentation of information. Settling for any job with any company is fine if you are ok with going anywhere or nowhere. MOST people, however, have dreams of going SOMEWHERE, like up the corporate ladder or into a high paying profession. To succeed, you have to plan and then take action. Your job search plan is your road map to career success. Without it, you are wandering aimlessly from job to job hoping to work your way upward as you go. Make a plan and make it work by working at it. Step by step, you can achieve your career goals. No goals = no hope of success (unless you are very lucky, very intelligent, or both).